Also see posts here and here. 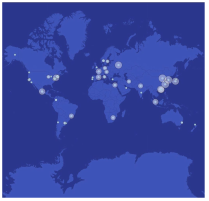 The Metagenomics and Metadesign of the Subways and Urban Biomes (MetaSUB) International Consortium is a novel, interdisciplinary initiative comprised of experts across many fields, including genomics, data analysis, engineering, public health, and architecture. The ultimate goal of the MetaSUB Consortium is to improve city utilization and planning through the detection, measurement, and design of metagenomics within urban environments. Although continual measures occur for temperature, air pressure, weather, and human activity, including longitudinal, cross-kingdom ecosystem dynamics can alter and improve the design of cities. The MetaSUB Consortium is aiding these efforts by developing and testing metagenomic methods and standards, including optimized methods for sample collection, DNA/RNA isolation, taxa characterization, and data visualization. The data produced by the consortium can aid city planners, public health officials, and architectural designers. In addition, the study will continue to lead to the discovery of new species, global maps of antimicrobial resistance (AMR) markers, and novel biosynthetic gene clusters (BGCs). Finally, we note that engineered metagenomic ecosystems can help enable more responsive, safer, and quantified cities. Urban grasslands, landscapes dominated by turfgrasses for aesthetic or recreational groundcovers, are rapidly expanding in the United States and globally. These managed ecosystems are often less diverse than the natural or agricultural lands they replace, leading to potential losses in ecosystem functioning. (…). To test if biodiversity-ecosystem function findings are applicable to urban grasslands, we examined the effect of plant species and genotypic diversity on three ecosystem functions, using grassland assemblages of increasing diversity that were grown within a controlled environment facility. We found positive effects of plant diversity on reduced nitrate leaching and plant productivity. (…) The results from this study indicate that plant diversity impacts multiple functions that are important in urban ecosystems; therefore, further tests of urban grassland biodiversity should be examined in situ to determine the feasibility of manipulating plant diversity as an explicit landscape design and function trait. (…) M olecular technologies, along with traditional microbiological methods, were utilized to catalog microbial succession during a 30-day human occupation of a simulated inflatable lunar/Mars habitat. Surface samples were collected at different time points to capture the complete spectrum of viable and potential opportunistic pathogenic bacterial population. (…) The Day 0 samples (before human occupation) have a very different microbial diversity compared to the later three time points. Members of Proteobacteria (esp. Oxalobacteraceae and Caulobacteraceae) and Firmicutes (esp. Bacillaceae) were most abundant before human occupation (Day 0), while other members of Firmicutes (Clostridiales) and Actinobacteria (esp. Corynebacteriaceae) were abundant during the 30-day occupation. Treatment of samples with PMA (a DNA-intercalating dye for selective detection of viable microbial population) had a significant effect on the microbial diversity compared to non-PMA-treated samples. Statistical analyses revealed a significant difference in community structure of samples over time, particularly of the bacteriomes existing before human occupation of the habitat (Day 0 sampling) and after occupation (Day 13, Day 20, and Day 30 samplings). (…) The results of this study revealed a strong relationship between human presence and succession of microbial diversity in a closed habitat. Consequently, it is necessary to develop methods and tools for effective maintenance of a closed system to enable safe human habitation in enclosed environments on Earth and beyond. 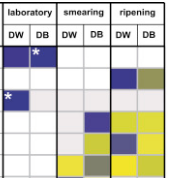 (…) In this study, the microbial communities in floor-drain water and biofilm samples from an Austrian dairy plant were analysed and revealed that floor-drain microbial communities are dominated by product-associated microbes. DNA was extracted of drain water and drain biofilm samples from three different areas (n = 6) of an Austrian cheese production facility. To characterise the bacterial and eukaryotic communities, 16S rRNA gene pyrosequencing as well as cloning and sequencing of 18S rRNA genes were used. 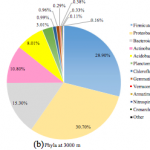 Floor-drain communities were dominated by product-associated bacterial (e.g. Lactobacillus kefiranofaciens, Streptococcus thermophilus) and eukaryotic phylotypes (e.g. Debaryomyces hansenii, Saccharomyces unisporus). In addition, putative drain water-derived phylotypes (e.g. Psychrilyobacter atlanticus, Cobetia marina) and ciliates were identified. 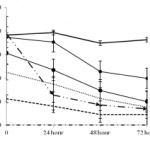 Three brands of commercial roast beef were purchased and artificially inoculated with a 5-strain Listeria monocytogenes cocktail at 2 inoculation levels (approximately 3 and 6 Log CFU/g). 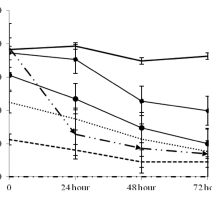 Although all 3 brands contained sodium diacetate and sodium lactate, inoculated Listeria cocktail survived for 16 d in all 3 brands; significant increases in L. monocytogenes numbers were seen on inoculated Brand B roast beef on days 12 and 16. (…) Based on this study, results showed that antimicrobials cannot completely inhibit the growth of L. monocytogenes in ready-to-eat roast beef. 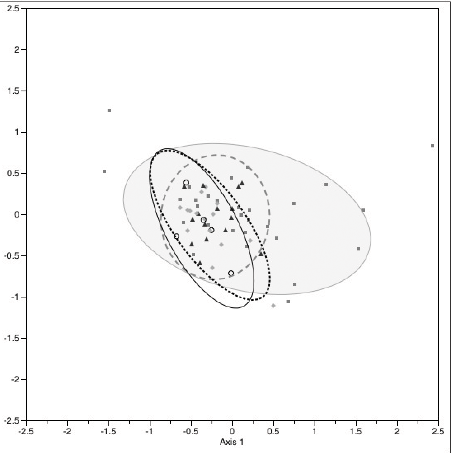 Native microflora (both diversity and abundance), together with product formula, pH, antimicrobial concentrations, and storage conditions may all impact the survival and growth of L. monocytogenes. The camel is a multipurpose animal with a huge productive potential. Camel milk is a key food in arid and semi-arid areas of the African and Asian countries. 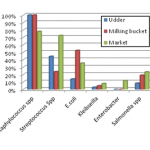 The quality of milk is influenced by different bacteria present in milk. 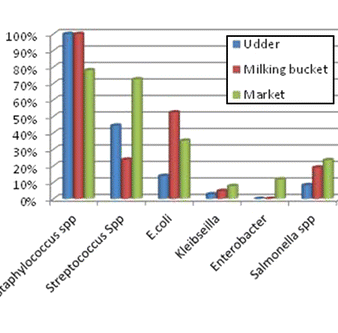 This study was conducted to evaluate total bacterial content in raw camel milk along the market chain in Fafen zone, Ethiopian Somali Regional State. (…) The majority of the bacterial isolates in this study showed high incidence in market as compared to production level. These results indicate a lack of compliance with good production practices and hygiene at milking, transportation and market of raw camel milk. Operation of membrane bioreactors (MBRs) for wastewater treatment is hampered by the membrane biofouling resulting from microbial activities. However, the knowledge of the microbial ecology of both biofilm and activated sludge in MBRs has not been sufficient. 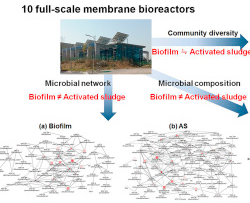 In this study, we scrutinized microbial communities of biofilm and activated sludge from 10 full-scale MBR plants. (…) Among MBRs, as expected, not only diversity of microbial community but also its composition was different from one another (p < 0.05). Between the biofilm and activated sludge, community composition made significant difference, but its diversity measures (i.e., alpha diversity, e.g., richness, diversity and evenness) did not (p > 0.05). 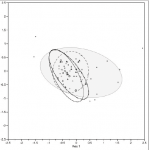 Effects of ten environmental factors on community change were investigated using Spearman correlation. (…). 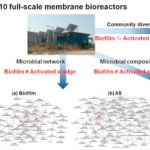 The network results revealed that there were different topological characteristics between the biofilm and activated sludge networks, in which each of the 4 factors had different associations with microbial nodes. 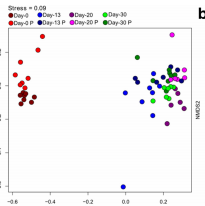 These results indicated that the different microbial associations were responsible for the variation of community composition between the biofilm and activated sludge. Four heavy metals (Cd, Cu, Pb and Zn), two metalloids (As and Sb) and two rare metals (In and Tl) were selected as target elements to ascertain their concentrations and accumulation in the soil-plant system and their effects on the structure of the soil microbial community in a typical area of rare metal smelting in south China. (…) The concentrations of As, Cd and Pb in vegetables were 86.7, 100 and 80.0 %, respectively, over the permissible limits and possible contamination by Tl may also be of concern. Changes in soil microbial counts and average well colour development were also significantly different at different sampling distances from the smelter. The degree of tolerance to heavy metals appears to be fungiâ€‰>â€‰bacteriaâ€‰>â€‰actinomycetes. The 454 pyrosequencing indicates that long-term metal contamination from the smelting activities has resulted in shifts in the composition of the soil bacterial community.